This play was interesting in more than one way. It reunited parts of the cast of Anne Frank – namely Anne and her father, Sara Farb and Joseph Ziegler – in totally contrary roles which is credit to their talent. And it is an interesting contemporary retelling of Henry VIII and his last wife, the one that survived him – Katherine Parr. The play is by Kate Henning and premiered at the Festival’s Studio Theatre. The rather intimate venue gives itself to a powerful story of duelling wits, of politics and feminism without rewriting or even changing known history. Katherine Parr (Maeve Beaty) is a woman with a dying husband and a handsome adoring friend Thom (Gareth Potter) she keeps at bay – not just because she is still married, but also because she had been raped (over a dispute of land). And yet – as soon as her husband died (and it’s the third husband she loses to the grim reaper) another man advances her. And he is a man who does not take no for an answer. Henry VIII wants her. He sees in her a glimps of Jane Seymour – the one that died in childbed and before she could bore him to her death – but he also gets an intelligent woman who does not want this relationship, but who has no choice but to accept. In the end she gives in, not for the presents he showers her with, but because he promises to never take her without her permission. Thom Seymour is sent to Holland though. Parr is the first woman who seems not to be afraid of him, who deals with his rotting leg and who even manages to get both Mary (Sara Farb) and Elizabeth back to court to be educated together with the one child that matters: Prince Edward. In a war of two intelligent minds, one hindered by the fact that it belonged to a woman, Parr is able to get the King to sign a paper that secures succession through the female line, should Edward die. She even dodges her own execution by humiliating herself and bending to the king’s will as she gets too influential for the courtiers. The marriage itself it seems is a series of negotiations, and maybe that’s what keeps Henry interested while his health declines. After his death Katherine seems to find happiness with Thom – but for a last time has to be the mother of two stubborn princesses when Elizabeth is in the middle of a smear campaign alleging that she and Thom were lovers. Parr fights these rumours, but it takes all her fight out of her – she gives birth to a girl and dies weeks later from sepsis. Two future queens she helped form are mourning her as the one mother they had known, as the woman who had proven that women can in fact be strong and intelligent and head of states. Thom is no longer in the picture – killed for treason – and Edward is a sickly child. Both girls will have their moments in the light, one creating the golden age of Great Britain. What fascinated me most was the way these historic figures came to life as thoroughly contemporary people, as humans rather than Kings and Queens. Josef Ziegler gives a fantastic grumpy, frustrated by his own weaknesses, yet regal Henry whose self deprecating irony is the salt of the play. Maeve Beaty is the down to earth, intelligent woman with the brains of a man who conquers Henry – but her love for Thom (a deeply female fate not only at the time) is in the end her downfall. 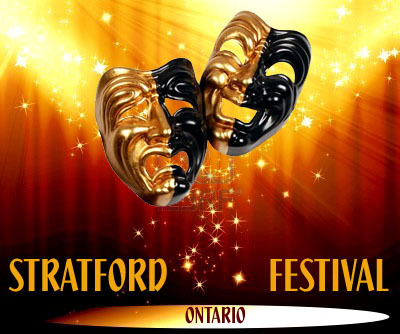 This entry was posted in Stratford Festival Ontario and tagged henry VIII, Josef Ziegler, Katherine Parr, Maeve Beaty, premiere, Sara Farb, The last wife. Bookmark the permalink.